Patrick Santillo is the Minister-Counselor for Commercial Affairs at the U.S. Embassy in New Delhi. As the Senior Commercial Officer in India, Mr. Santillo leads a team of more than 75 professionals working in seven offices across the country. This includes representatives from the U.S. Department of Commerce’s U.S. & Foreign Commercial Service, Patent and Trademark Office and Bureau of Industry and Security. Together they promote U.S. exports, open foreign markets to American products, protect U.S. commercial and intellectual property interests abroad, enforce U.S. export control requirements and encourage foreign direct investment into the United States. 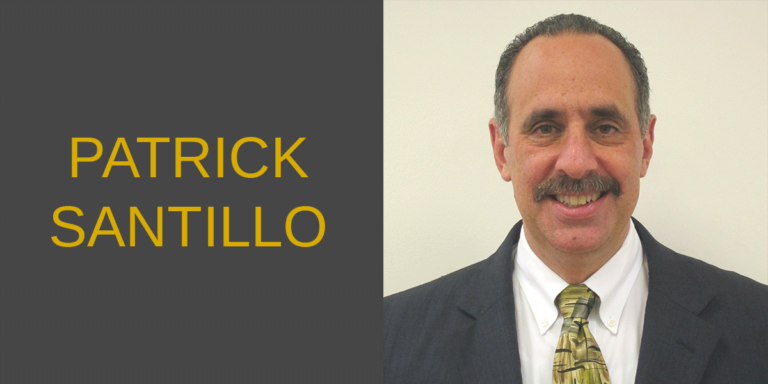 Mr. Santillo has served in this position since September 2016. Mr. Santillo previously served as the Deputy Assistant Secretary for China and Mongolia in the U.S. Department of Commerce’s International Trade Administration (ITA). In this role, he was responsible for the Department’s operations in China, Hong Kong and Mongolia. He was an active leader in the U.S. Government’s inter-agency process that shaped U.S. trade policy in the region and he advised the Department’s senior leadership on trade issues regarding the bilateral commercial relationships. He helped shape the Department’s trade promotion agenda, and as a member of ITA’s Senior Leadership Team, he also fostered operational excellence across the organization. As the Regional Senior Commercial Officer-ASEAN at the U.S. Embassy in Singapore from 2011-2014, Mr. Santillo coordinated the U.S. Department of Commerce’s initiatives across the ten countries of ASEAN. He was the Department’s Regional Director for East Asia and the Pacific from 2008-2011. As such, Mr. Santillo supported Commercial Service operations in 13 countries across the region. Mr. Santillo also served as the Deputy Senior Commercial Officer at the U.S. Embassy in Tokyo from 2004-2008. There he had day-to-day operational responsibility for one of the largest Commercial Service programs in the world. His previous assignments also include tours of duty in Toronto, Athens, Washington, Osaka and Tokyo. A member of the Senior Foreign Service, Mr. Santillo has worked for the U.S. Department of Commerce for more than 30 years. He is a native of Buffalo, NY, and earned his Master’s Degree in Economics from the State University of New York at Buffalo. He graduated with a Bachelor’s Degree in International Relations from the American University in Washington, D.C. Mr. Santillo was a Rotary International High School Exchange Student to Japan, and he is an Eagle Scout. He is a member of the Harley Owners Group (HOG) and he is an avid fan of the Blues.